In an audacious bid for power, the cult of the Dragon, along with its dragon allies and the Red Wizards of Thay, seeks to free Tiamat from her prison in the Nine Hells to bring her to the Forgotten Realms. The threat is so dire, factions as disparate as the Harpers and the Zhentarim are banding together to battle the cult. Never before has the need for heroes been as desperate. 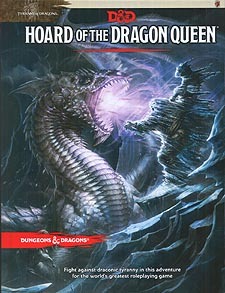 A Dungeons & Dragons adventure for characters of levels 1-7, concuding in The Rise of Tiamat.